Awarded the "Best International Passport - 2016" by Austin Chronicle , Indie Meme Film Festival -IMFF continues to grow as the 'go to' destination for unique, powerful stories from South Asia. Cinema enthusiasts come to watch the carefully curated programming to experience slices of life from countries like India, Nepal, Pakistan, Bangladesh, Afghanistan, Iran & more and to mix n mingle with the filmmakers in attendance & be a part of the Indie Meme community. IMFF@Austin aims to entertain and engage the community by showcasing different perspectives through the lens and provide a platform for post screening audience & filmmaker discussions. This year, the 4 day affair will be buzzing with film premiers, red carpet events, filmmakers in person & via skype, member mixers, audience discussions, networking events and parties. IMFF@Austin 2019 will host 15 critically acclaimed, thought-provoking films and post-screening discussions from multiple South Asian countries. 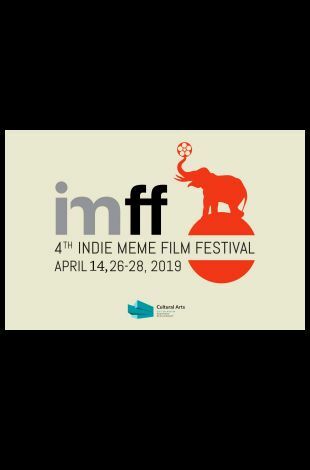 The Addition to this years' festival is the Indie Meme Youth Program which has grown from last year and now gets a space of it's own on April 14th. This is a platform for high school to showcase their short films with a South Asian flavor of course! SO GET THOSE BADGES AND MARK YOUR CALENDARS. INVITE YOUR FRIENDS & FOLLOW US AS WE PLAN 4 FABULOUS DAYS OF FUN AT IMFF2019. Since its inception, IMFF@Austin has been funded in part by a grant from the City of Austin. This year too the festival is supported in part by the Cultural Arts Division of the City of Austin, Economic Development Department. AUSTIN is a super cool city and IMFF@Austin is SO proud to add to it's diverse cultural landscape! We aim to build communities around film by promoting meaningful cinema via theatrical, non-theatrical, educational & event based platforms.